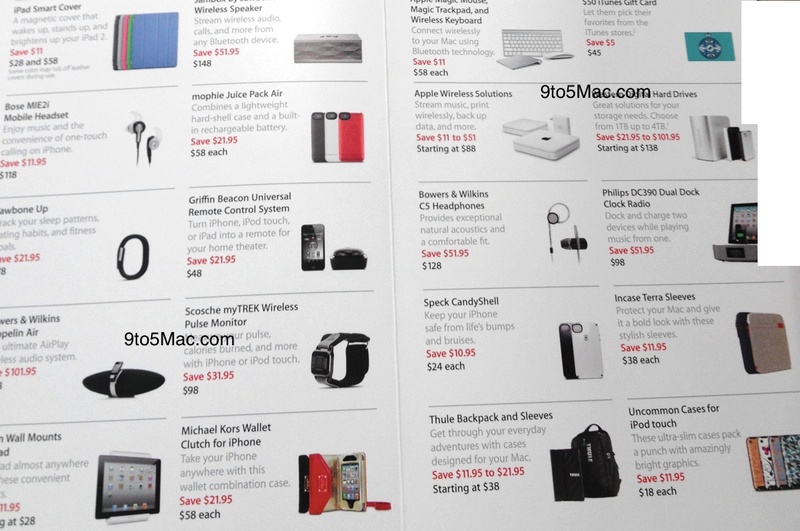 Apple’s one-day sale on Black Friday is just two days away and the company hasn’t officially announced the details yet, but 9to5Mac got a hold of photographs of a leaked pamphlet from a “trusted tipster” showing the discounts that are in store for shoppers on Friday. 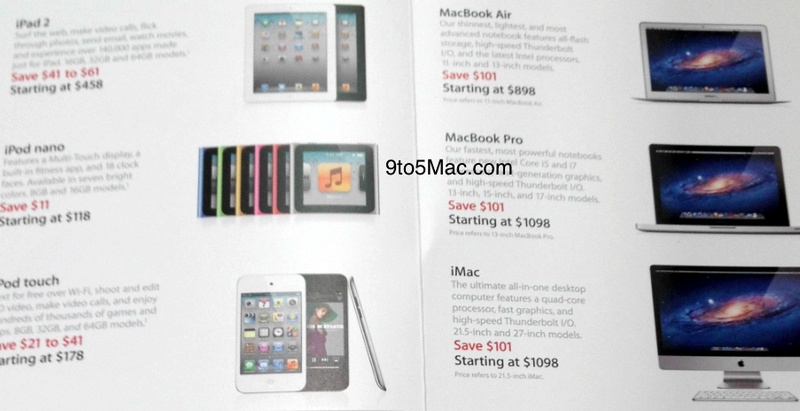 Like last year, the discounts are pretty slim: $101 off on the iMac, MacBook Air and MacBook Pro, $41–$61 off on the iPad, $21–$41 on the iPod touch and $11 on the iPod nano. There are also various small and very small discounts to be had on other accessories. We expect that other online stores and Apple authorised resellers will easily beat the company on the deals front, so a prospective buyer would be well advised to research their options before reaching for their wallet. 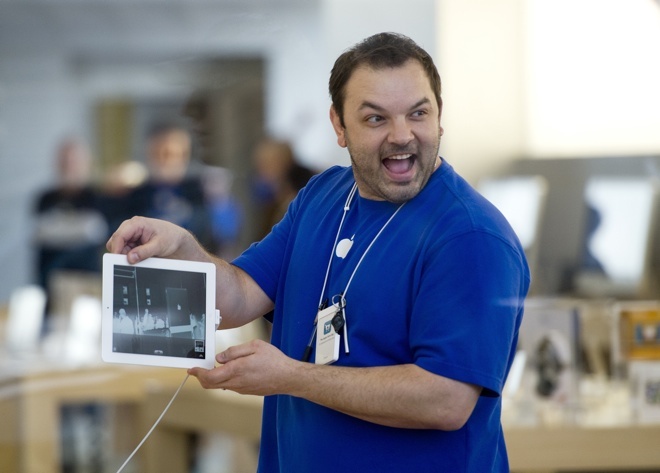 As for why Apple’s discounts are so tiny, we suppose that when you are selling devices faster than you can make them, the last thing on your mind is lowering your profits by discounting your products.